Collection of street art pieces - 100% of 11bit's proceeds from this DLC go to the charity War Child Charity. GOG.com and Steam copies include Soundtrack as a bonus. Forcing multisampling anti-aliasing breaks the menus. Always enabled for fullscreen mode. 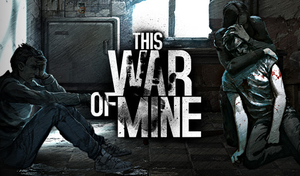 See Helix Mod: This War of Mine. This issue should be resolved in version 1.1.0. 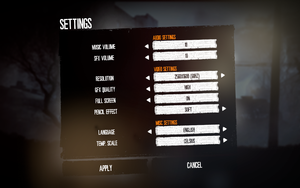 If you're using custom resolution and/or downsampling, disable it. Download and extract this config file. Replace your current config file with a newly downloaded one (See configuration file location). Do not enable the fullscreen mode, instead use Borderless Gaming. If you're forcing anti-aliasing from graphics card control panel - disable it. This issue was introduced in version 2.0. If the game was installed as a different user than the one used to run it then the font files installed in the user folder of the user that installed the game need to be copied to the user folder of the user that is running it. 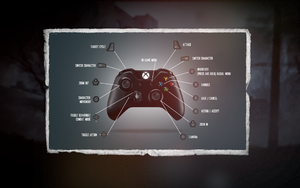 To do that, copy %USERPROFILE%\Documents\This War of Mine\ of the user that installed the game to the %USERPROFILE%\Documents\ folder of the user that is running the game. Open <path-to-game>\d3d9.ini or %USERPROFILE%\Documents\My Mods\SpecialK\Profiles\This War of Mine.exe\SpecialK.ini depending on the installation method you used.